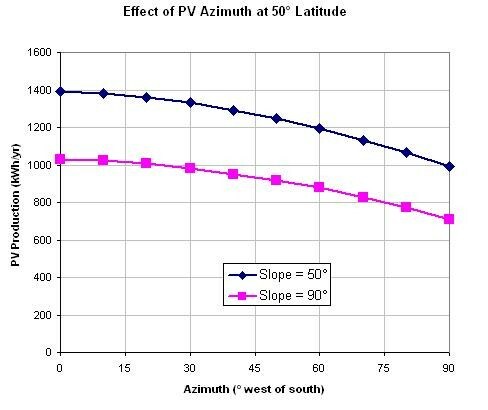 I am analyzing the influence of the PV Azimut angle on the PV Production, and in a simple case, when PV are looking to the West, I was waiting large reduction of electricity, and it does not happen. 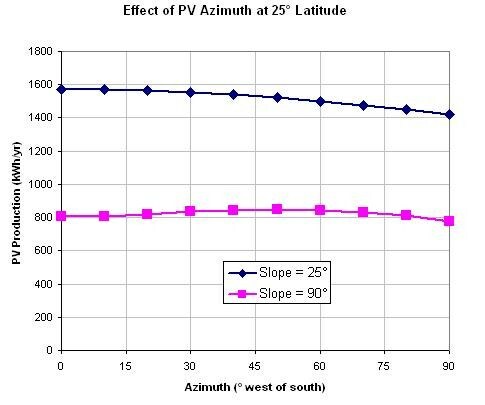 That shows that the effect is not huge at either slope, but it is more significant at 25° slope. At 90° slope, the panel sees half the sky, and at this low latitude there is virtually the same amount of illumination in the western half of the sky as in the southern half of the sky. Of course the timing is different, but the total amount is virtually the same.